Good Music Producers Aren't Made Overnight! RenegadeProducer.com helps smart music producers get good at music production, faster. Good music production requires a lot of knowledge and skills. You may feel your progress is slower than a drunken sloth at times. Yes, the fact is, it's never been easier to get started with music production and get your music out into the world. A laptop, DAW and some headphones can get you started. Digital distribution is easier than ever and streaming is starting to pick up. Social media allows you to reach your audience and connect with artists, media and industry professionals in a way that wasn't possible before. So, there's tons of reason for optimism as creative producers! That said, the fact that everyone has access to the same tools means that there's a lot of music available to the punters. Not to mention Youtube, Netflix, Instagram and the gazillion other attention-grabbing options consumers have available. It can be hard to cut through the noise and get noticed. This is where independent music producers need to get smart, get it done and stay cool! This site gives you ideas, strategies, techniques and resources you can use to develop your music and also your business as an independent producer. You're also invited to join the other smart producers who receive the Renegade Report newsletter. Sign up right now below for updates and exclusive content that's reserved for Renegade Report readers only. 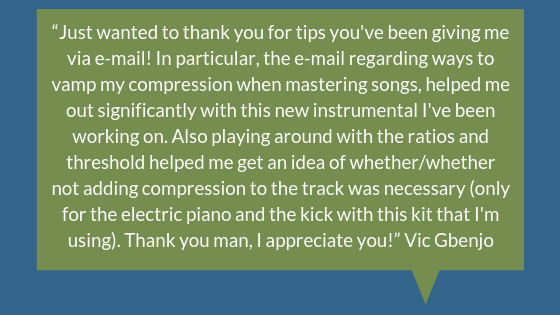 How Would You Like to Level Up Your Music Producer Know-How and Skills Today? Discover top ways to improve your sound and start to crush it on the daily in your home studio. A intro guide to help you set up your DIY home studio and get ready to produce your own music. An overview of the different types of production software used by producers. DAW, plugins etc. An intro into the Mastering aspect of the music production process. Advice on how to make sure you get the masters you want. Learn more about the options we have as independent producers when it comes to digital music distribution for our tracks. Get your music marketing on point with this introduction to music marketing for artists and producers. Strategies, websites etc. Discover the core skills you need in your producer skill-stack and start stacking them high! Inconsistent producer? The Studio Flow course shows you how to make more music, faster and on a regular basis. Join other smart advanced beginner music producers who receive exclusive content and get your free audio training now!